Mark Rego had a gift. A special gift. Every time one would interact with him, he would make that person feel special. This week, instead of our regular notes on high school football teams, I asked area coaches to give their thoughts, their memories, of Rego. Officially, he was an assistant coach at Evergreen and then Union. But in a way, he was kind of everyone’s life coach, an example of how to compete at the highest level while showing respect to his players and opponents. A family man first. A coach, too, at the high school level and youth level. And he worked security for Evergreen Public Schools. A natural fit because he always wanted to make someone feel secure. 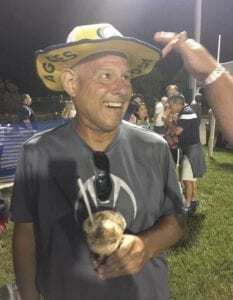 Mark Rego, the offensive line coach for the Union Titans, died Saturday due to complications from cancer. There will be a Celebration of Life at 2 p.m. Oct. 20 at Union High School. Here are just a few of the reasons for that celebration, from some of the coaches from Clark County. “Above all else, Mark was the nicest man on the planet. Never had a bad day. Laughed all the time. Believed in faith, family, football — in that order. Back in the day he subscribed to every football publication he could find. Probably made (his wife) Kim scratch her head about it more than once. Loved the nuances of the game, loved the strategy, loved finding new drills to help his players, but most importantly, loved his players. “You could always count on Mark’s players to outhustle, outwork their opponents — because they want to play hard for him, an overlooked quality among coaches. I will miss him because he ‘gets’ high school sports. He was a good friend, and a better man. “It speaks to who Mark was to have such an impact within the football community. 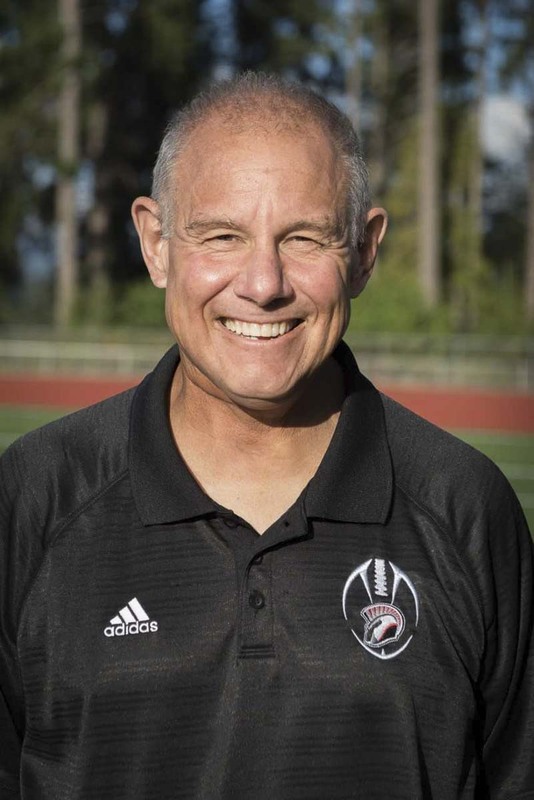 He impacted so many lives, through his work with Clark County Youth Football and his coaching tentacles. He reached a lot of people. (Rego coached with Union the first three weeks of this season before his illness took him off the field. In Week 2, he was on the road with the Titans on their trip to El Cerrito, Calif., an incredible game that was decided in the final seconds. “We got in an argument on the sidelines. There are two types of coaches. Ones who say, OK, whatever, and then there are coaches who will say I don’t think we should do that. You can’t have everybody on your staff be that guy but you can’t have nobody be that guy. He was not afraid to tell you his opinion. “I was pissed. He was pissed. We were yelling at each other. Then, after the game, we wondered why we were so angry there. We were up four touchdowns, but at that time, it was the most important thing in the world. The kids must have thought we were insane. “He’s a guy a coach should strive to be like. Just real solid. Never said a bad word about anybody. Freaking really great coach. The lines he had over the years, just a great job. And even a better guy. “That’s one of my favorites. He’s everybody’s favorite assistant coach. We were enemies, but he never said a bad thing about us. Just a class, good dude. “We worked with him this summer. We had them over a couple times, doing some work with Union. He’s just a good guy, no matter the rivalry. I don’t know anyone that guy had a bad relationship with. Everyone’s got those rivalries. I can’t think of a single person who didn’t like that guy. “Always positive. To me, so positive. I never heard the guy say something negative or demeaning to anyone. He appreciated the opportunity to work with (his players.) The kind of person you want around kids. “Not just the football community, but the community as a whole lost one of our great people. This is a man of high integrity and morals who cared about kids. “He cared about kids. He cared about the game. He wanted the game to be right. In order for the game to be right, you have to coach the kids right. “He’s the one guy who was able to unite an O-line. He could have coached anywhere and everyone would have loved to have had him. He was just fantastic. He made those guys feel like they should, like they are special. Every team knows that an O-line carries a team but they are the last guys to get the notoriety. He made those guys feel special and important. You want the kids to know they matter and they have a vital part of it. That’s what Rego did. “He was quirky and funny and a man’s man. He laughed at himself. He laughed at other people. He made you feel you were one of the guys no matter who you were, whether you were a freshman or a wide receiver coach on the staff. He made you feel part of the group. “I’ve known Rego for a long time. Every time you heard a kid talk about Rego, they loved playing for him. I never coached with him, but from the outside looking in, I always heard he was the best offensive line coach in the area, and the kids loved playing for him. “I used to do my own little research project and sneak around the school, taking tons of mental notes on how they ran their film sessions, the way their coaches interacted with their players, anything I could digest to figure out why they were so successful. It always stood out to me how much the kids loved Coach Rego.